Today’s craftiness involved a stack if paper, some ribbon, and permanent tape. 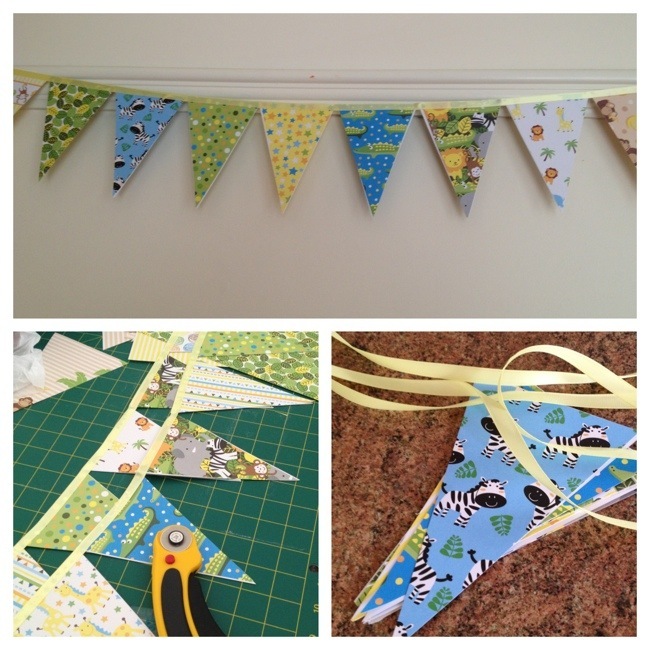 I whipped up a few metres of bunting for a friend’s boy’s 1st Birthday party. It was a nice fast craft and would have been faster still had my brain not changed ’80 triangles’ to ’80 pairs of triangles’ halfway through cutting them out. As you can imagine I had a lot of triangles left over!